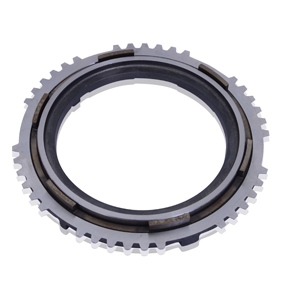 ANAND CY Myutec Automotive manufactures a wide range of automotive synchroniser rings. 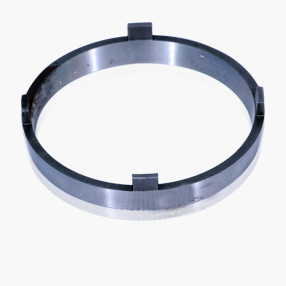 Our friction-coated rings, often developed collaboratively with our customers, are made as per their requirements. 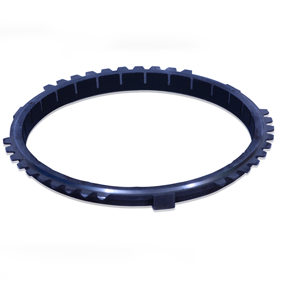 Our high quality single-cone and multi-cone synchroniser rings are built to deliver a smooth gear box experience to drivers of passenger cars and commercial vehicles. 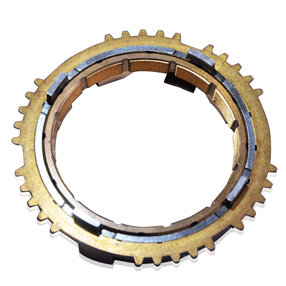 By synchronising the drive gears with the shafts, the synchroniser rings ensure equal evolutional speed in the two. 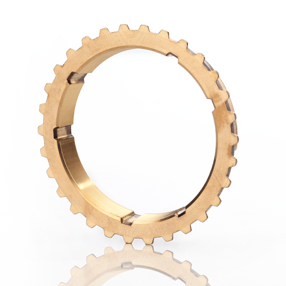 Brass double cone synchroniser rings comprise an inner, intermediate and outer ring. 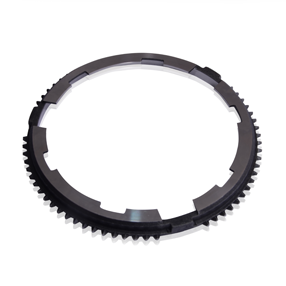 These are generally used in the first and second gear, given the high speed differential and requirement of greater synchronisation performance. 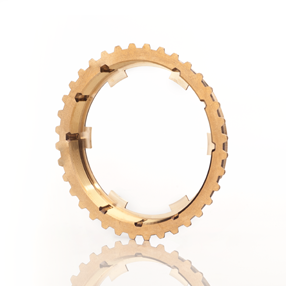 ACYM’s advanced brass double cone synchroniser rings can be easily fitted in MT and AMT transmission passenger vehicles. The sophisticated manufacturing process comprises forging, machining and lapping, ACYM’s brass double cone synchroniser rings represent a preferred choice. An advanced double cone assembly is manufactured with high performance carbon technology resulting in enhanced life and superior comfort. Aptly named, the single cone synchroniser ring consists of just one cone. 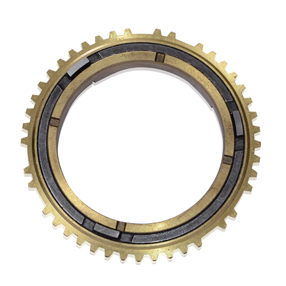 This ring is used as a transmission component of the synchroniser hub with a bigger diameter single cone brass synchro for higher torque SUVs and pick-up vehicles and smaller diameter for the PC segment. The manufacturing process comprises forging, machining and liquid honing (optional). Single cone brass synchro with sheet carbon for higher durability and performance provides a smooth gear shift and comfortable drive. Brass triple cone synchroniser rings comprise an inner, intermediate and outer cone with threads on ID and OD. These are used in enhanced friction surfaces and smooth gear shifting. 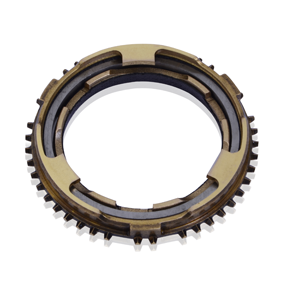 The movement of the selector moves the entire dog clutch until the cones make contact and the friction brings them to the same speed, resulting in the internal splines of the outer sleeve engaging with the dog teeth and gear. ACYM’s synchroniser rings synchronise drive gears and shafts in manual gearboxes. The result: the revolution speed between the shaft and gear remains equal while shifting. These highly efficient rings are manufactured using intensive forging, machining and lapping processes, enhancing product quality. The triple cone assembly with carbon-based friction technology can be used at a high torque in the initial gears of a vehicle. ANAND CY Myutec is one of India’s leaders in the brass triple cone with carbon segment, addressing a range of vehicles. A steel double cone consists of inner, intermediate and outer rings, making an assembly. ACYMS’ double cone is developed using a high performance fabric carbon lining and used in the first/second gear of trucks with a capacity of 17 tonnes and more. ANAND CY Myutec’s advanced double cone steel synchroniser provides high rigidity and torque in commercial vehicles and also in vehicles with high power requirements. ANAND CY Myutec’s synchroniser rings with steel intermediate cones are used in a wide range of vehicles. These rings range from a minimum 40 mm diameter to a maximum 200 mm diameter with a minimum thickness of 2.2 mm. A steel single cone consists of a single ring synchro. 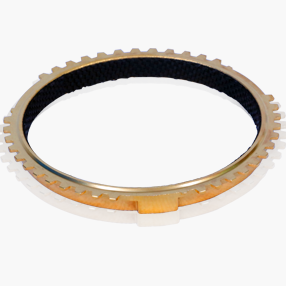 The ring comes with a high performance fabric carbon lining, currently used for the third/fourth/fifth/sixth gear of the trucks bearing a capacity of 17 tonnes and more. 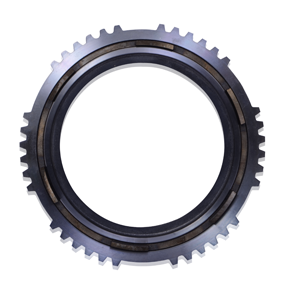 A single cone steel synchroniser ring with carbon friction technology provides enhanced rigidity, friction and superior life compared with threaded brass synchronisers. ANAND CY Myutec manufactures the best quality steel single cones with carbon for a range of vehicles in India.